French President Emmanuel Macron has once again landed himself in hot water for being to blunt and direct to the French public (although some also say he was simply right about this one). Meeting with the public during an event, the former Rothschild banker got into a discussion with a 25-year-old aspiring gardener who said he had trouble finding a job. President Macron told him he should change careers and instead look for a job in catering or construction. 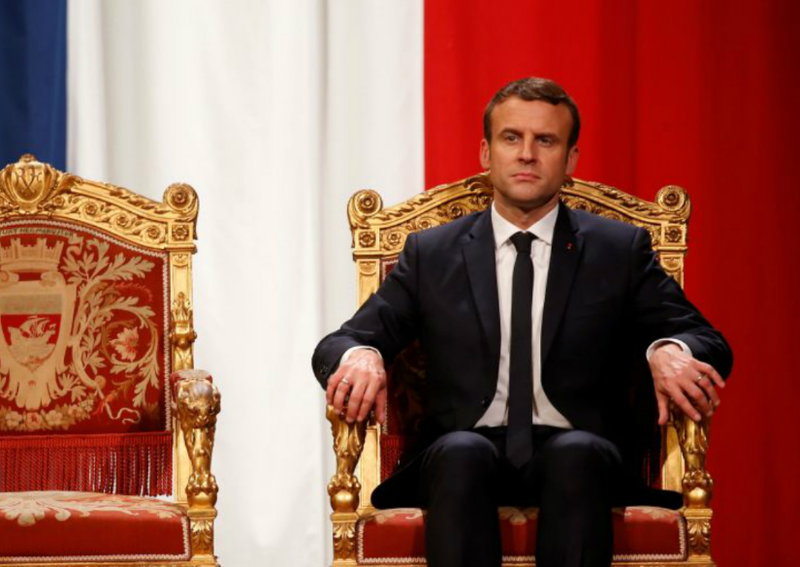 The unnamed man approached President Macron during a cultural event organized at the Paris Elysée Palace and said he had sent out many curriculum vitae and cover letters but they all didn’t “lead to anything”. However, Mr Macron’s critics quickly took to social media and said that the president, a who has struggled to shake off a reputation as "president of the rich," is once again wrong. Related coverage: Related coverage: <a href="https://thegoldwater.com/news/36080-France-Macron-Isolated-As-2-Popular-Ministers-Quit-Popularity-Dips-Video#36113"> France - Macron Isolated As 2 Popular Ministers Quit, Popularity Dips (Video)</a>. "Completely disconnected from the reality of the French," one user wrote. "How can someone show that much contempt, lack of empathy and ignorance in just 30 seconds?" Appearing on the evening news after the video went viral, Mr Christophe Castaner, the head of Macron's Republic on the Move party, rejected accusations that the French President had "poorly treated the unemployed". "Is what the president said false? If you go to the Montparnasse area, you won't find that they need workers?" "You would prefer empty words? I prefer a president who says the truth."